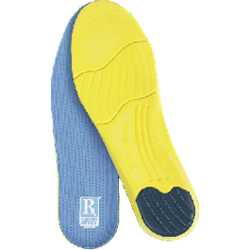 RxSorbo insoles for pain relief are a simple and inexpensive way to handle irritation from the daily wear and tear your feet experience. The company has announced a new information page on Plantar Fasciitis and insole selection. Insoles for pain relief can be an important part of the treatment of a common source foot pain, a condition known as plantar fasciitis. RxSorbo, a leading online retailer of top-rated shoe insoles, is pleased to announce that the topic of insoles for pain relief is the subject of a completely revamped informational page on plantar fasciitis. The new page launched in late December, 2015, as part of a major website upgrade. To browse the complete line of insoles available, one can visit the following URL: http://www.rxsorbo.com/insoles/. There, one can browse the company’s classic heel pads, classic insoles, and the all whole line of walking shoe insoles.